I just bought a burnt orange accent chair that I saw online while redecorating my living room. I did not have a huge budget but by adding some pieces like pillows, rugs and other accessories I think the room looks fantastic. 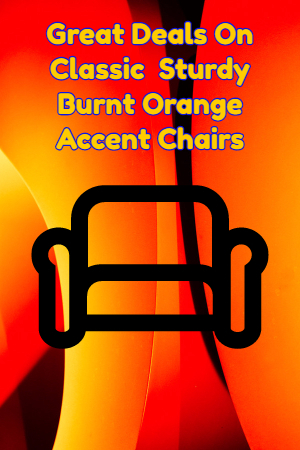 The reason I bought a burnt orange chair was because I loved the warm, rich color and it added some trendiness to my whole room. I was able to pretty much change out the decor in my entire living room under budget. I feel that if and when I tire of the orange I can change the cover out. I love how easy it is to decorate when using color in a smart way.